Now I understand some people are against hunting of any form. Considering my mum is one of those I do understand (she goes to the supermarket!) Ha. However, my G'Dad was my primary hunting instructor, as in his day it was a matter of survival and feeding his family (mum!!). But these days it is also about keeping the wild populations of deer, pig and even wallabies under control as to not allow them to take over whole areas and - quote Department of Conservation " potentially risk biodiversity, biosecurity and damage to private land that may arise from too many wild introduced animals". So that all being said - the fishing crew got a call from a station holder up country asking if we knew any hunters that could do a cull over the weekend. Otherwise DOC was threatening to send in choppers and poison the area, which he didn't want. Off we went - great way to see new areas of the country, meet new people and keep up with the dogs! 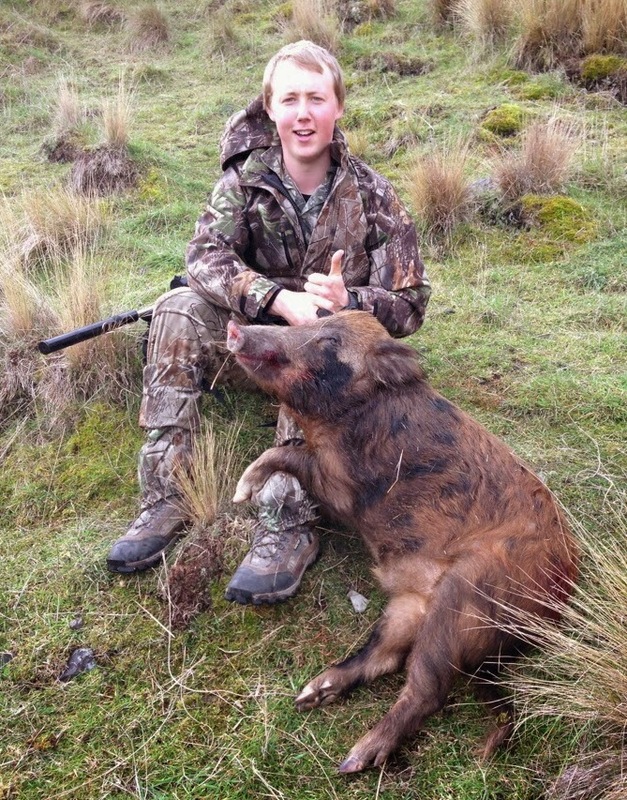 Haven't shot a pig before, but as long as it is a quick clean shot - all good.